The named member of staff who deals with queries from parents and members of the public is? How do I apply for a place in Reception Class? If your child is in Dame Dorothy Nursery they do not automatically qualify for a place in Reception class. For applications to Reception class, a letter will be sent out from the Local Authority to Nursery children, to be distributed by the school, detailing how to apply. How do I apply for secondary school? For applications to Secondary school a letter will be sent out from the Local Authority to Year 6 children, to be distributed by the school, detailing how to apply. How do I transfer my child to another school? For a transfer between schools, parents/carers would need to ask their current school for a ‘School Transfer Application Form’ which they would complete and have signed by their Head Teacher. Breakfast club opens 8.00am, Early Birds 8.30am and doors open for all children at 8.45am. Gates and doors close at 8.55am. End of the school day is 3.20pm. Dinner money is £2 per day, £10 per week. Once they have a confirmed place in Breakfast Club, they will come to school for 8.00am to the Music Room, £2 per day. Who do I give my child’s school trip money to? Trip money can be given to the teacher or to the Office, in an envelope with the child’s name and class and amount enclosed written on it. How much are school music lessons? Music lessons at Dame Dorothy are free. Speak to the class teacher to discuss what can be done to help. INSET days are staff training days. When do we get a school report for our child? School reports are sent out in the summer term, usually early July. Parents’ Evenings – what do we do about our child/younger siblings? If parents/carers are able to have a younger sibling looked after this would give them the opportunity to speak more easily with the teacher. Of course we understand that this is not always possible, so younger siblings are always welcome in school. Children start to learn musical instruments from reception class up to year 6. Children do need to bring a PE kit to be able to take part in PE lessons. We now have school PE kits available to buy, contact the office for details. It is not recommended that parents take children out of school during term time – any absence cannot be authorised by school and would be recorded as an unauthorised absence. Are staff DBS (Disclosure and Barring Service) checked? All staff who work in schools must be DBS checked before commencing employment. Are your activity instructors qualified? All coaches/instructors hold appropriate qualifications and are DBS checked. Children are allowed to wear a pair of small stud earrings in school – parents/carers need to sign a disclaimer form. Children must be able to remove the earrings themselves before PE. We encourage our children to enjoy a school meal, please feel free to view the menu on the school website, or displayed in school. Can I pay for clubs and lunches online? What if my child is ill at school? The child will be cared for by our first aiders and every attempt will be made to contact parents/carers – please make sure contact details are kept up to date. Ask the class teacher or call in at the office. The school office is open 8.15 to 4.15 every day. We only usually issue tickets for the Christmas celebration. We always try to accommodate extended family, occasionally we have to limit numbers due to health and safety requirements. Support with homework, read with them daily, help them learn spellings and practise times tables. What happens if my child is on medication? See Mrs Leslie to complete a care plan whilst your child is on medication. What do I do if my child has head-lice? Please notify the school (teacher or at the Office) and a letter will be sent out to the whole class asking parents to be vigilant regarding head lice. Is detention given and what does this involve? We do not give out detention. 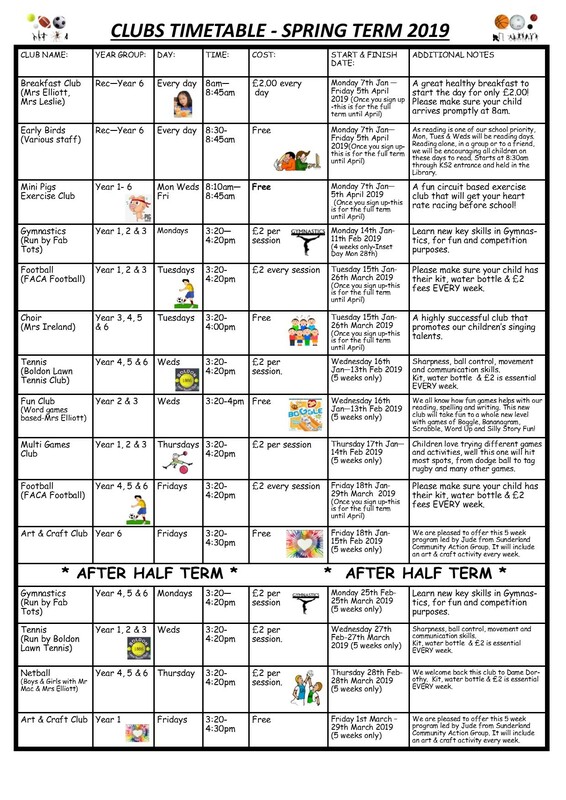 We use ‘Golden Time’, all children start the week with 30 minutes of Golden Time to be held on a Friday afternoon (the class decide on the activity for Golden Time at the beginning of the week). Any incidents where the school golden rules are broken would result in 5 minutes or so of Golden Time being taken from them. This means when the class start their activity the child who has lost Golden Time would have to miss part of the session, depending on how much time they have lost. How will I know if an after school club has been cancelled? In the unfortunate event that an after school club needs to be cancelled, a text will be sent out to the parents/carers of that club. What provision does the school have for scooters /bikes? Can parents use the school driveway to drop and pick pupils to/from school? No, all parents must use the car park across the road from school is available for parents/carers to use. We do appreciate parents collecting the children promptly. In the event that a parent is late the child will be brought up to wait outside the Office. If there has been no contact from the family, we will ring to find out what is happening. Please ask at the office for a form to apply for free school meals, the form shows the criteria for eligibility. What happens if parents and carers want to make a complaint about the school? There are forms available in the foyer if parents wish to fill them in, they will be reviewed and appropriate action taken. Please click here to view our Complaints Policy.